Our company has successfully served the Skagit Valley since 1992, and our main objective has always been to provide every client with excellent personal service. To accomplish this, we base our company on principles and values that promote high moral and ethical standards, quality control processes and interdependence in the project team. We have completed projects in Skagit, Island, Whatcom and Snohomish Counties, and are familiar with their codes, regulations and requirements. 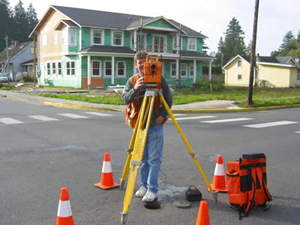 NWDD offers comprehensive surveying and engineering services including civil, hydrologic, and hydraulic engineering, as well as land and construction surveying. When necessary, we contract qualified consultants and contractors in wetlands, landscape, and mechanical and electrical disciplines as appropriate to compliment our resources. We’re willing to work with any qualified subcontractors designated by our clients. Innovative Design: NWDD professionals operate with maximum flexibility to provide reasonable, sound alternatives and solutions to complex projects that meet project goals, schedule and budget. Our firm offers a broad scope of engineering services to ensure comprehensive project scope and development and creative design expertise. Our staff is trained in the latest technology available for field and office work. Quality Control: At Northwest Datum & Design, Inc. quality control is a vital part of our design process. Our firm implements project development methods that incorporate best management practices, utilizing total quality management, project management, process improvement, and a partnering approach with our clients. Our quality control methods involve review of project scope, methodology, and deliverables. As an ongoing process throughout the project, all work is reviewed by professional senior staff to maintain a high standard of quality. 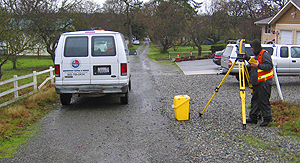 In addition, our field personnel are cross-trained to complete base mapping tasks. 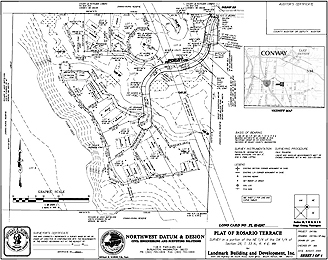 Our staff is experienced in developing contour mapping and providing detailed site features and utility information, which affects timely schedule implementation. At 60% completion, field visits are undertaken to verify the accuracy of base mapping and to determine any additional information necessary to clarify mapping details. Our staff are trained with a “big picture” view to problem solving, utilizing total quality management methods and systems to proactively manage resources and work products. Utilizing Clear Communication: Our team meets with the client team to determine project objectives before conceptual and specific project management plans are developed. Conceptual alternatives are evaluated to narrow methodology and determine the best approach to meet the project objectives. At this stage, specific project management practices are used to identify project plans, task assignments, review meetings and schedules, and quality control systems. This process facilitates productive communication at the onset of the project. Meeting Project Budgets: Northwest Datum & Design, Inc. prides itself on its reputation for meeting budgets, working within project constraints, and adhering to schedule for projects of all sizes. The quality of our service and high level of customer satisfaction results from our ability to listen carefully and communicate effectively. Determining the objectives and needs of the client facilitates cost effective development of the project. During initial project planning and implementation, each project task is coded and staff assignments are delegated noting task, time allocated, and required timeline to meet schedule. This is an effective planning process that assures adequate staff resources, opportunity to communicate concerns, and early discussion of timeline issues to ensure project schedule is maintained. We provide clients this early cost estimate. Weekly monitoring of project budgets with current cost information and a complete breakdown of hours and dollars charged per project assists our staff and clients in maintaining a percent-completed work effort within project budget and scope. This provides for early identification of any potential cost overruns, and the opportunity to notify the client. Utilizing effective staff planning and managing weekly project costs ensures project completion on schedule, and within budget.